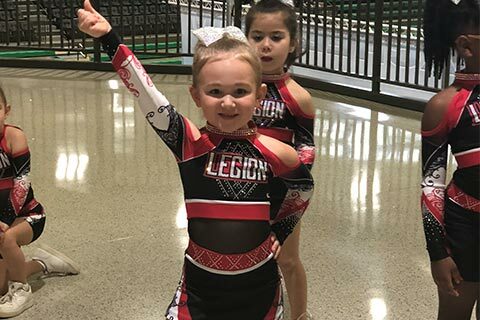 Legion of All-Stars specializes in all-star, recreation, and school cheerleading instruction, team and recreation gymnastics, tumbling classes and more! At Legion of All-Stars, we bring out the champion in every athlete we train – on and off the mat. 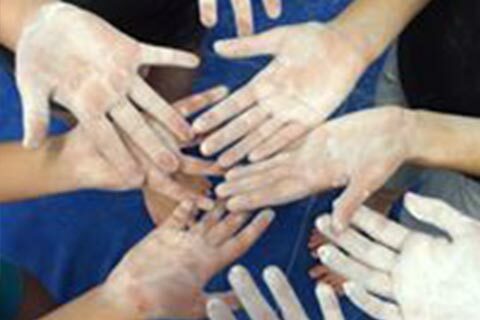 We strive to build pride and confidence, trust and teamwork through dedication and disciplined instruction. We embrace #DoUntoOthers, our gym-wide no bullying policy, and offer a safe zone for our youth. We are Legion, and we invite you to join us! 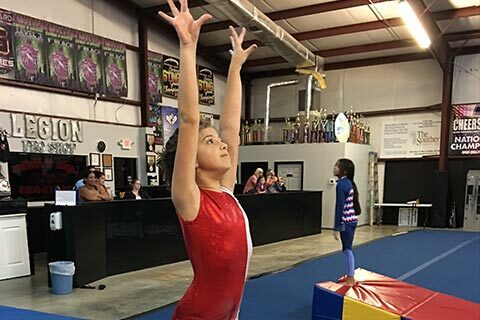 Legion of All-Stars prides itself in its professional, experienced, and certified staff and in offering the most progressive training program in the Southeast. When one class per week isn’t enough for your child, it’s time for the next step, TEAM. This means more time in the gym, longer training sessions, and competitions. 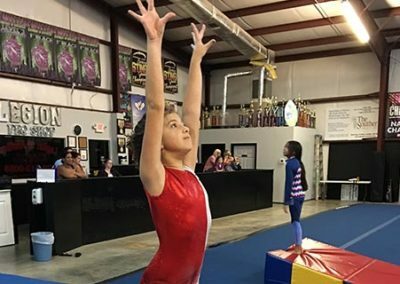 LOA’s tumbling classes foster the progressive advancement of tumbling and acrobatic skills and technique through multiple levels. 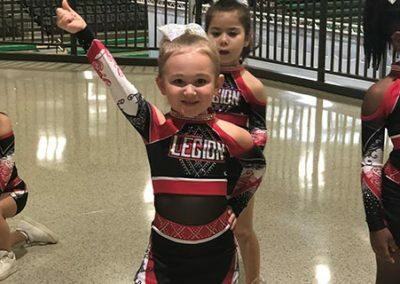 Legion of All-Stars offers classes to those who want to enhance Middle and High School cheer squad training. 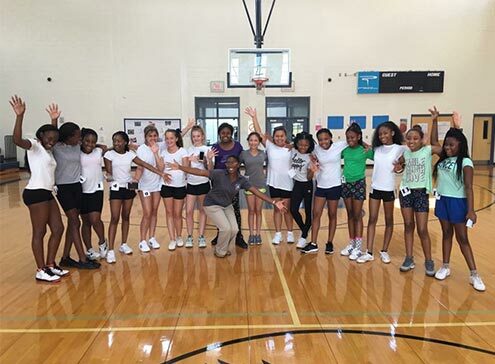 These advanced classes and camps allow athletes to perfect advanced cheer techniques and teamwork skills that they will appreciate for years to come. Celebrate your birthday Champion Style! LOA is a great place for a fun and memorable birthday party. 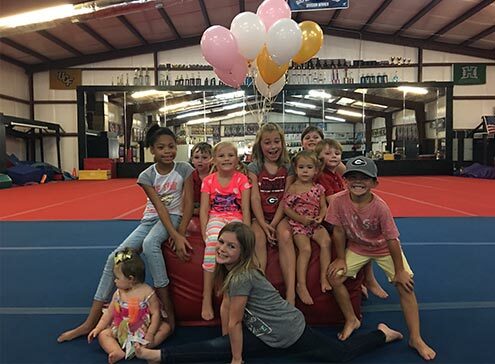 Our spacious facility, fun equipment, and entertaining staff make every birthday party an unforgettable experience. Kids have a great time at LOA birthday parties!